Find/download free public-domain books online. Is there a better alternative to Voluminous? 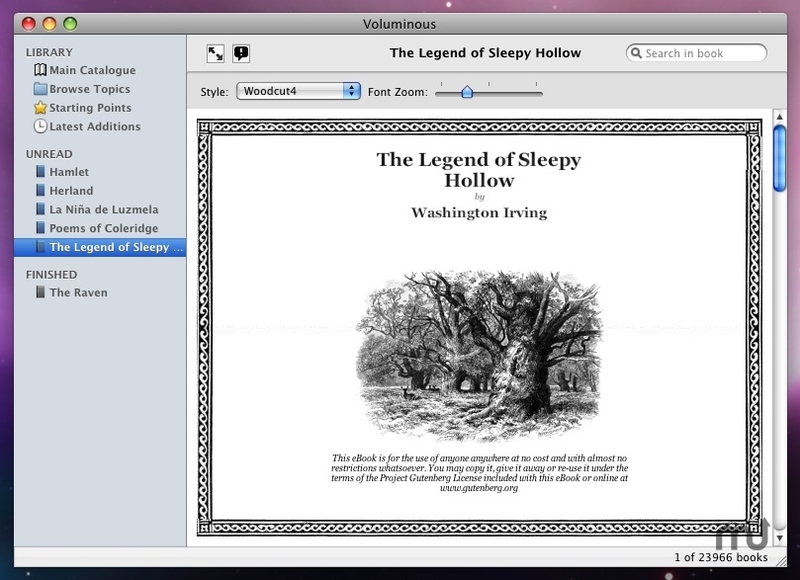 Is Voluminous really the best app in Literature category? Will Voluminous work good on macOS 10.13.4? Voluminous finds free, public-domain books on the Internet, downloads them, formats them for easier reading, and manages the collection. Offering more than 20,000 books from the outset, including many famous plays, novels, poetry and reference works, new titles are added to the catalogue regularly. Voluminous also includes a variety of ways to pick out the titles you want: search by title or author instantly, or browse the topic catalogue, based on the Library of Congress classification scheme. Voluminous needs a rating. Be the first to rate this app and get the discussion started!